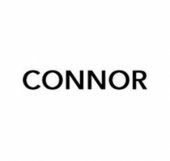 Connor was established in 2006 with it’s first store opening in the Sydney suburb of Hornsby. The brand quickly identified a niche in men’s clothing: masculine fashion and good quality, at prices which represent exceptional value. The concept has hit a nerve in the marketplace and has been enthusiastically embraced by the Aussie guy. The company has quickly grown to over 100 stores throughout Australia.